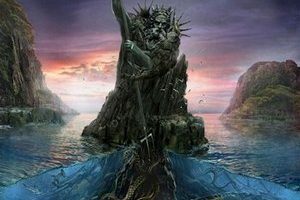 Now almost 20 years in, symphonic metal torchbearers Visions of Atlantis are finally releasing their first live album. Why they hadn’t released one earlier is anyone’s guess, but perhaps it was due to the ever-rotating cast of musicians that has been a part of the band (male vocalist Siegfried Samer has since left the band as well, as noted in the live performance itself). Regardless, the band show off their best chops on this live release. Though some may have wanted a more varied setlist, due to reasons mentioned above, it’s probably why the band chose to use the majority of The Deep & The Dark as their setlist. Given that it’s the band’s strongest work to date, ultimately there’s bound to be little to complain about when it comes to setlist issues here. The songs are performed equally well to their studio counterparts, and the way that the audio from the crowd is worked in, you can tell (without a visual) that the band is well-adept at interacting with the crowd, particularly vocalist Clémentine Delauney. 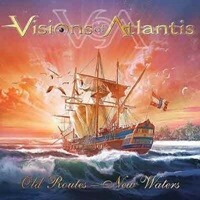 The one extra piece that fans may seek this out for is Samer’s farewell midway through, discussing that we won’t be continuing onward with Visions of Atlantis, and hands the mic over to current vocalist Michele Guaitoli for “Lost.” A track rendition that provides evidence that VoA won’t be at a lack for good vocalist dynamics moving forward. Much like most of the live releases of today, the mandatory nature of it depends largely on one’s dedication to the band at hand. 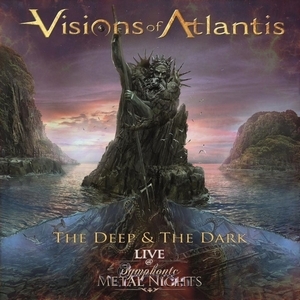 For those fans, Visions of Atlantis prove their worth on the live front for those who have not experienced it first-hand (or at least this most recent version of the band), and serves as a little glimpse into the band’s future.